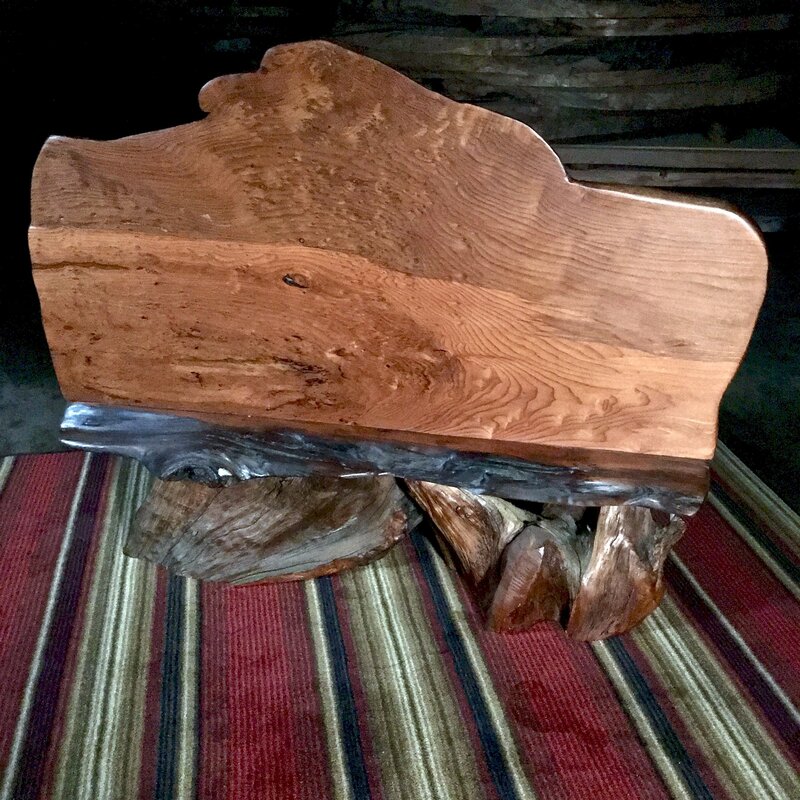 This custom burl wood bench features organic western cedar root bases and live edge wood slabs. Old growth redwood burl is the highlighted live edge wood. 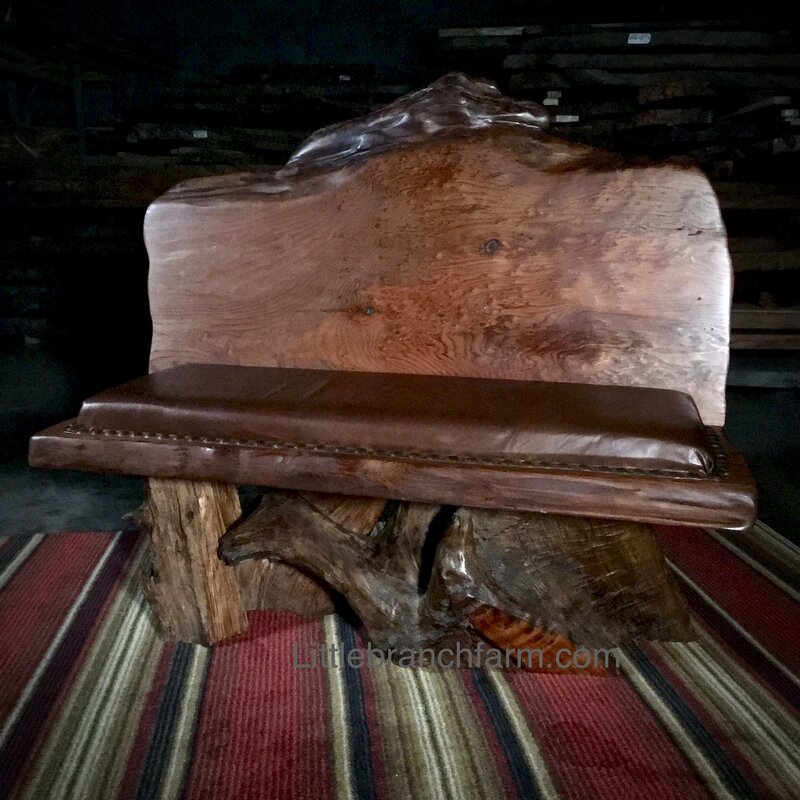 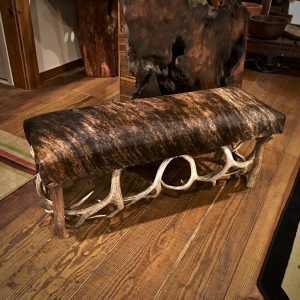 This burl wood bench also has an upholstered leather seating area. 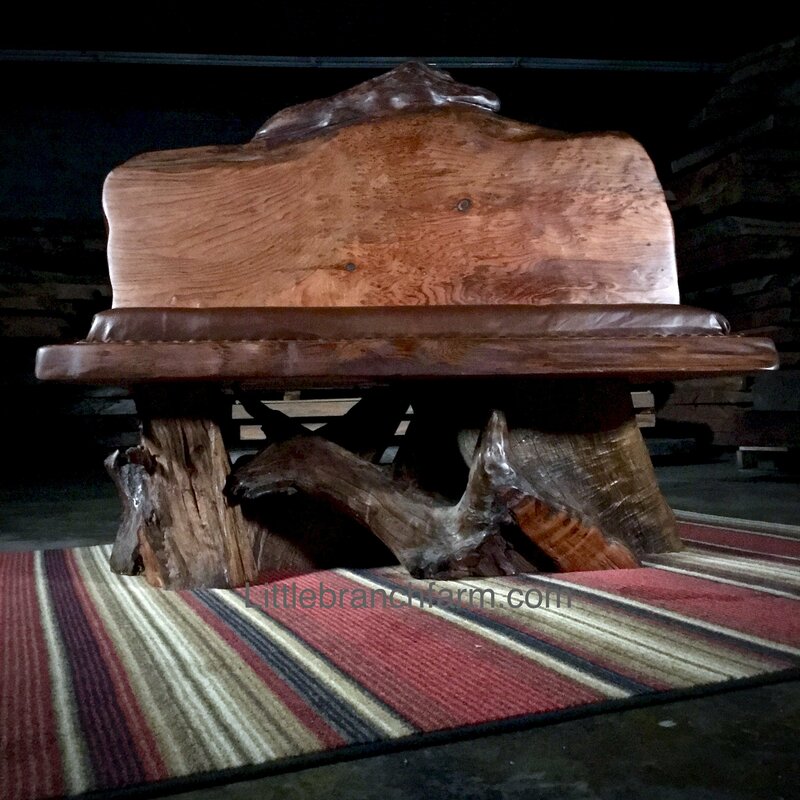 Whether you are in the market for a live edge table, log vanity or burl wood furniture our custom furniture maker can make it a reality. 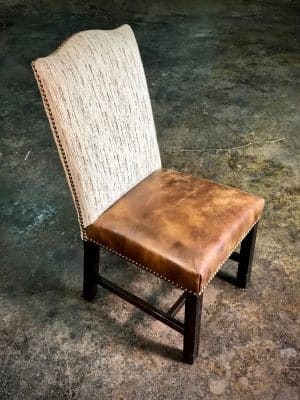 Each piece is designed and crafted by our furniture maker at our Nashville, TN studio. 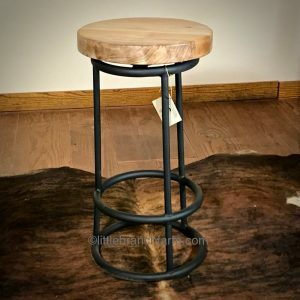 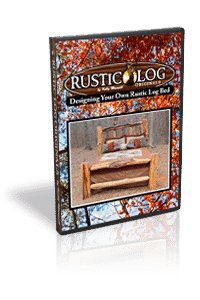 Whether you wish to purchase a finished rustic furniture or order a custom furniture piece.